How Long Does Ecstasy Stay In Your System ? How is Ecstasy Broken-down or Excreted? 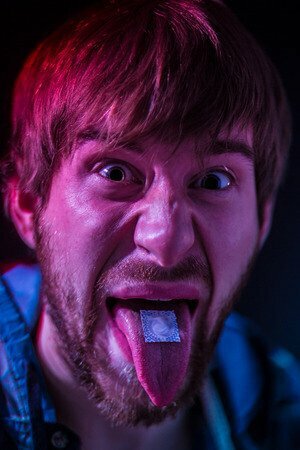 Why People Are Tested for MDMA (ecstasy)? How to clear Ecstasy from your body? Ecstasy is a synthetic psychoactive substance, could also be named as MDMA – 3, 4 -methylenedioxy-methamphetamine. Ecstasy is popular for its amalgamation of empathogenic and euphoric effects. It is known as ‘Molly’ in United States. MDMA has no recognized medical usage as it is considered as Schedule-I controlled drug, is potentially on a high abuse list and is measured to be unsafe when consumed without a medical consultation. Consumption of Ecstasy can enhance mood, modify perception, endorse euphoria, misrepresent time and intensify empathy. It is the kind of mescaline (a hallucinogen) and amphetamine (a psych stimulant). Due to its pleasure giving qualities, this drug is often consumed by young people and adolescents in rave parties. Ecstasy has a capacity to prompt the presynaptic discharge and reabsorb dopamine, serotonin and norepinephrine. It primary acts on trace amine-associated receptor 1 or TAAR1 as agonist and acts on vesicular monoamine transporter 2 or VMAT 2 as inhibitor. Though it is considered as one of the not so common addictive drugs, they have the potential to kill the brain cells and make you have delusions. As an outcome, many users have stopped it completely and wish to get rid of the same from their body. If we assume you have stopped the ingestion of Ecstasy and have gone through all the MDMA withdrawal symptoms, we believe a percentage of drug has been eliminated from your body already. While the impacts of MDMA consumption generally span from 3 to 5 hours and half-life elimination of the drug is approximately 7 hours, though there are some studies which says 8 – 9 hours. If we consider 7 hours to be the half life MDMA, then the drug would need a whole of 1.60 days to be out of your system and for 8 – 9 hours, it could take minimum 2 days to be totally out. Although most of the MDMA users remove the drug in 2 days and nearly everyone is able to get rid of the same in 3 days. Although there are studies which states, urine with higher level of alkaline can increase the half-life elimination of the drug. That means the half-life would be doubled, 16-31 hours. Moreover, metabolite HMMA – 4 hydroxy- 3 methoxy- methamphetamine is believed to live in your system for as good as 33 hours, which is longer than MDMA. Thus, concluding it we can say it might take 3 days in order to remove HMMA from your body. There are number of factors that influence the presence of ecstasy in your body, say metabolism and the clearance of the drug has a connection. Few people may find it easier to eliminate the drug in 2 days while some couldn’t even in 3 days. Factors that effects a person’s ability to eliminate the drug are: (Body Mass Index) BMI, genetics, ingestion of drugs and supplements, lever/kidney functioning, individual age and the source of ecstasy. Dosage of the drug, whether it was single or double doze also matters. Though two people can consume the same quantity of Ecstasy, still one can remove it from the system a way ahead than other one. An expected capacity to clear toxic substances from the system is subject to disparities and that depends on individual aspects. Several of many factors that make a difference is genetics, age and also if the person is taking any other drug or supplement along with MDMA. Body Mass Index: If a person thinks of eliminating Ecstasy from your system, it is vital to check your BMI. Body Mass Index also popularly referred as BMI, explains for both weight and the height of an individual. While considering a relationship with your BMI, you may want to check this, higher the dosage of your Ecstasy, lower the speed of its elimination from the system. It takes slightly stress-free time for heavy individuals to process standard drug measures of ecstasy than the light people. Genetics: Genetics is believed can alter the speed at which the body metabolizes the drug. Ecstasy is primarily metabolized in liver through CYP2D6 and genetic alternates in CUP2D6 can change the rate at which MDMA is processed by the system. With the help of demethylenation, MDMA is transformed into DHMA, a metabolite; however, people who are weak metabolizers are not good at this conversion. Thus, it is clear that some individuals find it quicker to remove the drug from their body while some find it a bit difficult. Ingestion of Drugs/Supplements: Intake of several other drugs can affect the rate at which MDMA is metabolized. Cocaine, Paroxetine (Paxil), Fluoxetine (Prozac) and many more are the examples of such drugs. Drugs that hinder the liver functions can directly affect the metabolism of MDMA. Thus MDMA remains in your system for a longer time than an individual who isn’t into taking SSRIs or any drug known to change CYP2D6. On contrary there are some of the drugs which can boost CYP2D6 enzymes increasing the metabolism rate. Metabolism: Metabolism rates alters from person to person and every individual’s metabolism rate is affected by dietary intake, exercise, hydration and the body fat (lean body mass). People who have faster metabolism rates tend to metabolize the drug faster than the person whose metabolism rates are slower. 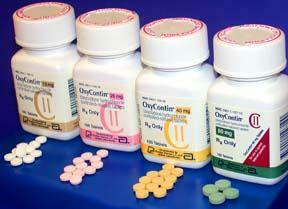 Regular exercise, dietary intake and muscle tissue has a direct influence on elimination of ecstasy from the body. Age: Just like other factors, age also directly influences the speed at which a system metabolizes the drug. Individuals who are younger are active and healthier thus their metabolism rate is higher than the elderly person whom we can say above 65. Elderly people are generally taking medications and have less blood flow into the vital organs like liver and kidney which makes them to perform poorer than the young people. Thus, it takes long time for elder people to eliminate MDMA from the system. Liver/Kidney Function: As Ecstasy is mostly metabolized by the Liver, people who have weak liver functioning tend to metabolize the drug at a slower rate than a person whose liver is functioning healthily. Weak liver functioning prolongs, and induces inefficient metabolism which extends the presence of MDMA in the body. Thus, stronger and healthy functioning of the liver makes it easier for a person to eliminate the drug from the system. Most of the users are unaware of the chemical content that might have used as MDMA is an illicitly synthetic substance. It could have been modified without anyone’s knowledge or could also be stained with another unknown substance. The drug subsists as a racemic mixture of R-(-)-enantiomer and an S-(-)-enantiomer; however the effectiveness of unfettered MDMA possess a significant amount of variations. Differences in effectiveness or/and altered form of MDMA, influences the time that this drug remains in the system. And it completely depends on the source. If ecstasy is laced or combined with any substance which prolongs the half life or/and extends metabolism of the drug through affecting CYP2D6, the drug may extend its life in the system than the expected time. However, if the drug is coated with certain substances that enhances the digestion, it maybe faster to metabolize the drug in your system. Some of the forms of ecstasy are combined with caffeine, fentanyl, acid, methamphetamine, ketamine, ephedrine, and LSD. For such cases, users believe that they have bought ecstasy; however, in actuality the tablets or the medicines contain no real MDMA. The drug contents, co-ingestion of other substances and the potency of MDMA affects the metabolism and the time period ecstasy rests in your body. The quantity of MDMA a person intakes is liable to important variations individually. On an average, an individual consumes somewhere between 10mg to 150mg of Ecstasy on the form of pills in order to extend the effects. In general cases, a standard MDMA user will inject between 50mg to 700mg of drug per night in any event, concert or a rave party. Generally, it is noticed that, larger the dosage of ecstasy, the lengthier it takes to process and excrete from the system. Higher injects modifies metabolism through pharmacokinetics and CYP2D6. A person taking a single dose of MDMA will clean the drug at the faster rate than the person taking a double dose throughout a day or night. This comes to the point that multiple dose injectors have gathered more amount of drug in the body then an individual who has injected single dose. The single dose people might have processed the amount of MDMA they had taken by the rave end; however, the multi dose users would start metabolizing the last doze when the party hits its end. Moreover, it is believed that when a drug user goes to sleep, the absorption of MDMA decreases. 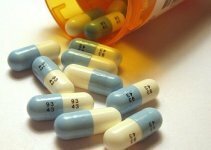 If the comprehensive amount of drug isn’t metabolized while a person is sleeping, the elimination time may extend. Within 30 minutes of ingestion, the drug discloses its effects on the body, only after having been absorbed by the gastrointestinal tract of our body. Within 1.5 to 3 hours, it reaches in its maximum concentration in our body. 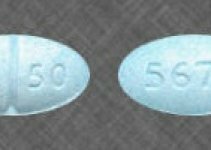 Post this, they are metabolized by COMT, CYP2D6, CYP3A4 and CYP450, but slowly. On metabolism of Ecstasy, the level of metabolites typically raise within six hours. First, MDMA is processed into MDA, the main metabolite which is present in plasma and blood. The chief metabolite is further fragmented down into HHA and HMA and are then coupled before they are eliminated through urine. Mostly, the drug users eliminate the MDMA as: 1% HMA, 1.5% of MDA, 15% MDMA, and 20% HMMA. When ecstasy is taken in 100 mg, 74 mg and 50 mg, HMMA is significant metabolite to that indicates the existence of MDMA. But when the drug is administered more than 100 mg, amount of unaffected MDMA exceeds that of the HMMA. Inside 24 hours of injecting the drug, 30% to 40% of its excretion through urine is expected. According to the research, it is said that the presence of HMMA could be spotted in urine for almost 33 hours, which is lengthier than MDMA. And that is the reason it is said that during drug tests, the presence of HMMA needs to be checked instead of MDMA. Following a high dosage of MDMA in few consumers, the presence of HMMA remains in the body for as good as three days. Most of the usual drug tests have failed to determine the drug presence in one’s body however, a series of comprehensive tests can declare the accurate results. Advance tests can discover the existence of MDMA and in near future could be succeeded in finding the HMMA. The presence of drug in your system could be known by undergoing urine tests, saliva tests, blood tests and hair tests. Urine Tests: A urine sample is the most common way of checking the drug in your system. The urine tube is then sent to laboratories to conclude whether any person has injected any illicit substance in the body. It is noted that, the presence of the MDMA will stay in the body for 2 – 4 days after the intake. Most of the consumers will have eliminated from their body within 72 hours (3days) of the ingestion. That been said, if a person has high level of alkalinity in the urine, the drug may extend its stay in body for over 3 days. Moreover, if the test is aimed to find HMMA (a metabolite of MDMA which has an extended half life), then the person could be detected positive even though if it is after 4 to 5 days of ingestion. Saliva Tests: One more method of checking the presence of drug or any other illicit substance in anyone’s system is the person’s saliva. Generally these tests require a sample of saliva from the person who is being tested, from the mouth or saliva taken from the mouth. Often it is taken from the tongue. The saliva samples are accumulated though an application of detective devices on tongue until a sufficient amount of sample is collected. 2 microliters is the minimum requirement. Blood Tests: Post the ingestion, between 12 to 24 hours blood tests could be carried out. As it a bit skeptical to find the presence of MDMA in the bloodstream after a full day. If at all the person is forced to undertake blood test, after a day of the drug ingestion, the results would come along the metabolites. As blood tests are only capable of finding the drug within 24 hours of its intake, it is highly not preferred and is invasive at greater risks. Blood tests are generally reserved to declare results from law enforcement agents and/or another more of testing. However, errors and mix ups from the laboratory results often creates blunders in the blood samples. Hair Tests: Hair tests are considered to be the least followed test to detect the presence of drug in the system. A hair extraction is required in a hair test (generally hair from the head is required; however it could be from any part of the body). 3 cm to 6 cm is the typical length range of the hair extension that is required for a test. Though MDMA does not appear in hair extension immediately after the drug ingestion, but it will remain for a longer time than the urine. Analysis of a hair follicle can detect whether a person was taking MDMA within a nearly 3 months (90 months period). Assuming if the hair test is conducted in a laboratory, if a person has a longer hair extension, possibility of ecstasy detectable for longer than 3 months. Hair tests are advantageous in the sense as they are non-invasive and can detect the drug over a longer period of time. There could be many reasons why a person is tested for the presence of MDMA. One of the most obvious reasons a person could be tested for a drug intake is, a law enforcement person finds his/her behavior a bit weird or tipsy. Adding more to this is, it is common for drug rehabilitation centers to determine the presence of drug though their advanced test batteries. As it’s a pleasure enhancer and is a rage among youngsters, it creates a high and you may also disobeys authoritative rules post ingestion. Here are some places where it is commonly tested: Employment, Criminal justice, Rehabs and Military. Employment: Regular drug tests are often carried out in some of the offices from employers to prospective and already working employees. As some of the regular tests do not really determine the presence of the MDMA, some of the employers choose an advance tests protocol. And these advance tests protocol could detect the presence of not only MDMA but also its Metabolites. Criminal Justice: Since MDMA ingestion can infuse drug induced psychosis, an individual could hallucinate or create an odd behavior. In order to pinpoint whether a person has taken MDMA, the tests could be administered. If a law enforcement person detects a weird moments in the persons’ behavior he/she could ask you to appear for a test, so that they could be sure there’s no illicit substance taken by an individual. Rehab Facilities: If an individual checks into a rehab center, the authorities would make sure that the person is clean from all the exogenous intakes and may conduct regular checkups to assure the same. These facilitators generally use advanced level of tests in order to determine whether the person is still taking MDMA or not. Military: People in military are often tested for drug intakes on regular basis. To make them alert and be vigilant in training and in the battlefield, military persons are required to undergo extensive drug tests. The authorities by doing so ensures that the defense team remains aloof from any exogenous substances and remain pure. In order to keep yourself clean from MDMA from the system, quickly and very efficiently here are few things to follow and make the process a bit speedy: Stop the consumption completely, be hydrated, supplements, increase the acidity level in urine and most importantly keep the regular exercise on track. One would want to take a point here that, these tips may not work for everyone but for some people they can create a huge difference. Stopping the consumption: One of the easiest procedure you could do in order to eliminate ecstasy from your system is to completely stop using it. Few people assume that small doses of MDMA would not be detected; however the truth is though the small amount of the drug intakes are metabolized quickly, there are still chances of being detected. Longer the time you have taken your last doze, more are the possibilities of the drug getting rid from the system. Diet/Hydration/Exercise: Drinking more water would facilitate better metabolism of MDMA and also increases the urine excretion. A balanced healthy food would also provide the required antioxidants in order to clear MDMA from the system. Regular exercise will increase the blood circulation which would increase the speed of metabolism. Supplements: Certain drugs induces the liver metabolism of MDMA which makes the elimination process quicker. Acidity level in Urine: pH level of the urine significantly affects the time MDMA remains in our system. If the urine is more alkaline, the half life of ecstasy would be extended resulting the longer period of clearance. Thus, it is advised to increase the level of acid in the urine if you want to speed up the clearance.